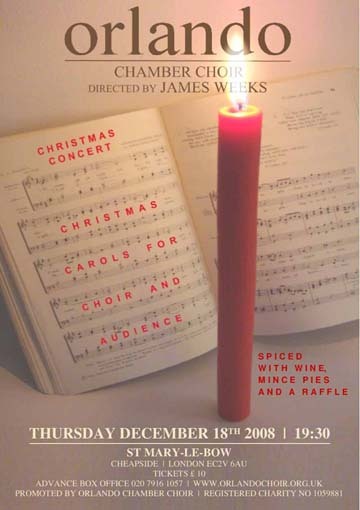 A traditional Christmas Concert with plenty of opportunity for the audience to join in. The evening will be rounded off with wine, mince pies and a raffle. Gaudete!